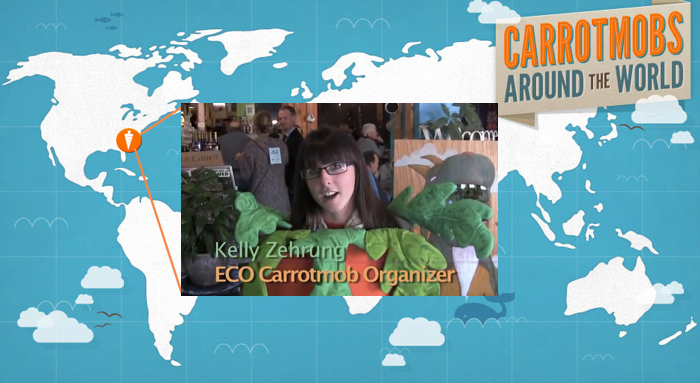 In which Carrotmob switches back to a for-profit model. In the aftermath of the shocking events of Chapter 7, we were committed to pushing forward with Carrotmob, but we had to rethink our approach. People would say to me: “If Change.org and Care2.com can pursue this lead generation revenue model, why can’t Carrotmob?” Well, both Change.org and Care2.com are for-profit companies that make millions of dollars each year, and they aren’t restricted by the limitations of being a non-profit. They do a great job of achieving their mission and having a big impact, even while they operate as businesses. Hmmm. People would say to me: “Wow, you found out you can’t do what you planned as a tax-exempt non-profit? Does this happen often?” Well, as a matter of fact, the same thing recently happened to another prominent organization. In 2011, after a number of years applying for 501(c)(3) tax-exempt status, Couchsurfing.org found out that the IRS would not grant them status because they didn’t fit the definition of charitable. 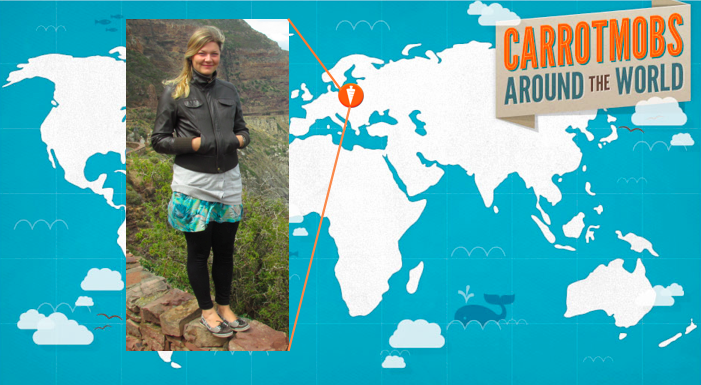 Couchsurfing felt that their mission of advancing cultural exchange was a charitable purpose. The IRS presumably felt that for a lot of people the purpose of Couchsurfing was actually to save money on hotels. Or something like that. So after years of trying, they too found out they couldn’t be a tax-exempt non-profit. How did they respond? How did they manage to keep going and push forward their mission? Well, they switched to a for-profit model, raised $7.6 million from investors, and they are now positioned to thrive within their new for-profit legal structure. Hmmm. Does anyone see where this is going? Yes, that’s right. We decided to choose the only viable path for an organization which can’t legally be a non-profit: Be a for-profit! We incorporated a new company in April 2011. As you may remember from Chapter 3, this was actually the second time that we abandoned a presumed path as a non-profit to incorporate as a business. You might think that it’s easier the second time around, but I’m afraid not. You see, this time we had an existing organization which had been built using charitable donations. You can’t just take a non-profit and say, “Guess what? We’re a for-profit now.” Charitable donations must always be used for a charitable purpose. Yet, we had discovered that our planned goals did not fit into the “charitable purpose” box. What to do? 1) We decided that rather than abandon the non-profit, we would keep that organization going, and redirect its activity to things that would actually fit the IRS definition of charitable. Some strategic goals (like building the technology and infrastructure to support campaigns) would be pursued by the for-profit company. Other strategic goals (like doing research on how we can maximize our positive social impact) would be pursued by the non-profit Carrotmob Institute. We would create a sort of “hybrid” relationship between the non-profit and the for-profit. 2) The non-profit used charitable donations to create assets (ie: our old website). Once we found out it couldn’t put those assets to use as planned because the purpose wasn’t charitable, the best thing that the non-profit could do to advance its mission was sell those assets to the new for-profit company. This way, the same work would be able to continue, and the proceeds from the sale would let the non-profit also pursue new charitable activities. 3) The two entities have designed a deal. We got a third-party valuation of the assets. The non-profit will sell the assets, and in return, the for-profit will pay cash to the non-profit which will then be used to do charitable work related to Carrotmob. 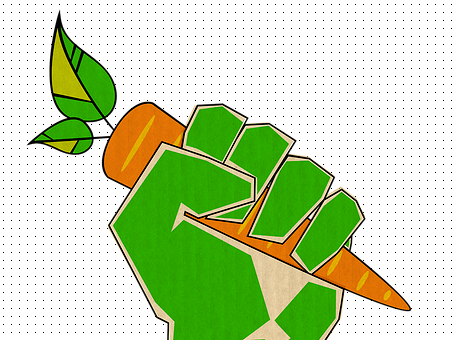 So basically, after this transaction closes, although the nonprofit will not have the exact same assets and mission as before the transaction, it will still be sufficiently funded to continue the mission of maximizing the positive impact of Carrotmob campaigns, while the for-profit will be able to go out and build the technology and infrastructure to execute campaigns. That’s the short version! Sort of peculiar, but it’s also a really well thought out elegant solution to a strange puzzle. The more inquisitive among you will note that such a transaction raises a thousand questions, and I’m happy to report that we have a thousand great answers to all of them. This arrangement has been reviewed by three different law firms (including an expert on this sort of transaction), our fiscal sponsor, a third-party valuation firm, two boards of directors, and the CA Attorney General’s office. We haven’t announced this shift before now, because we wanted to make sure we had answered all the important questions ourselves and felt really solid about this path. It’s not entirely finalized, but as we prepare to wrap up this transition, we’re proud and excited about this shift, and the future potential of both organizations! It’s a strange experience for me to take a year’s worth of obstacles and confusion and stress, and distill them into four pithy paragraphs. I’ve shared the short version, but this was a long, slow process. This was a pain. Our entire history has been difficult, full of starts and stops, twists and turns. We have always been climbing the same mountain, but there have been a lot of switchbacks and avalanches. I hope you don’t think our history sounds too glum. Is reading about the grind of everything we’ve been through getting you down? Well, guess what? This has just been pre-season training. We’ve been building and testing and rebuilding all the different parts of the Carrotmob machine. We’ve been learning and practicing. Now we’re ready to roll. This has not been a story about sacrifice, but about resilience. This has not been a story about dead-ends, but about innovation. This has not been a story about bureaucracy, but about endurance. This has not been a story about a narrow single-mindedness, but about a broad commitment. We aren’t sad that it has taken a long time to build the technology we have today. We are proud that rather than rushing to build something shallow, we are taking the time required to build something profound. We are not a lame non-profit which is sad that it now has to be a for-profit. We are a category-smashing venture that is proud to have disrupted every paradigm we’ve tried to fit into and is now excited to build a lucrative, scalable business helping ordinary people reimagine capitalism itself. I wanted to share all of this with the public, not to show you all the vines and foliage that have been obscuring our path, but to show you how we’ve learned to swing a machete. Would you like to read about what has happened recently, since we switched to our new for-profit model? What investors have written us our first checks? Who has helped us build what we’ve got so far? Where our office is? Would you like to know what we’re working on right now? Would you like to get in early? Well, we’re still writing chapter 9. If you would like to help us write this chapter and you are exceptionally talented (software engineers, designers, businesspeople, campaign managers, all-around athletes, etc) and well-aligned with our mission, now might be a good time to send an email to jobs@carrotmob.org.